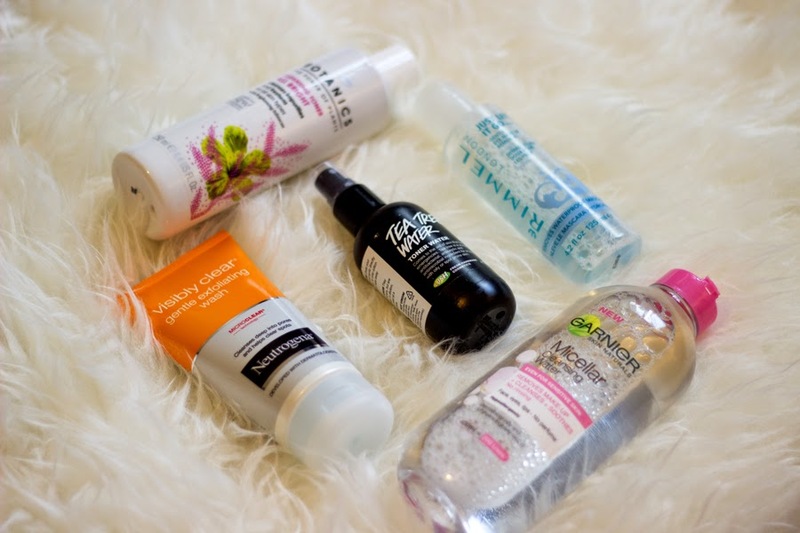 I have already written about this lovely and affordable micellar water here on the blog and even though Bioderma (review here) is my favourite, I think this is the closest dupe to it. It removes my makeup really well and it leaves my skin soft and clean without any reactions. There is no greasy feeling or too watery feeling; just a nice clean feeling almost same as when you wash your face (but wash your face still girls!!). 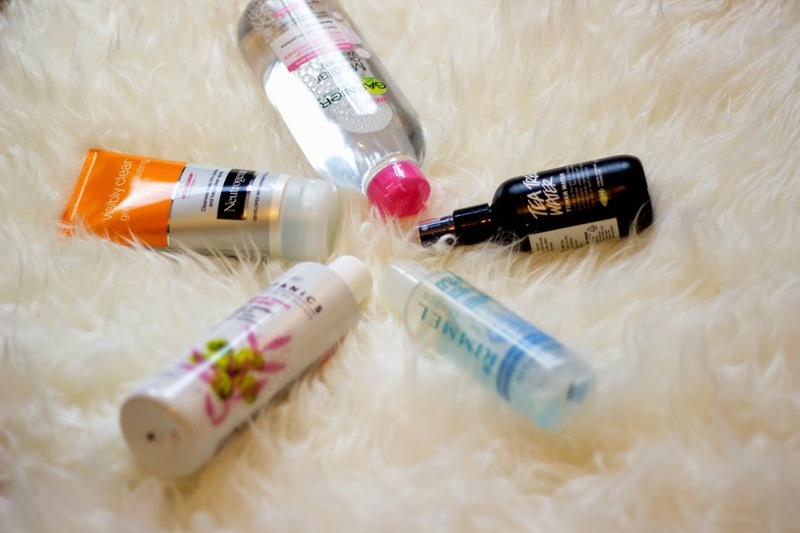 The packaging is very pretty as well and it contains 400ml of product which is very generous if you ask me. I just use some cotton pads and tip the bottle to dispense some product and gently swipe across my face to take off my makeup. If I am extra lazy, I also use it to remove my eye makeup which it does really well. Best part is it costs only £4.99 but it always on offer in Boots and other stores for less and I got mine and a back up for £3 only. This is a pretty new discovery for me and I absolutely love it because it is so effective. 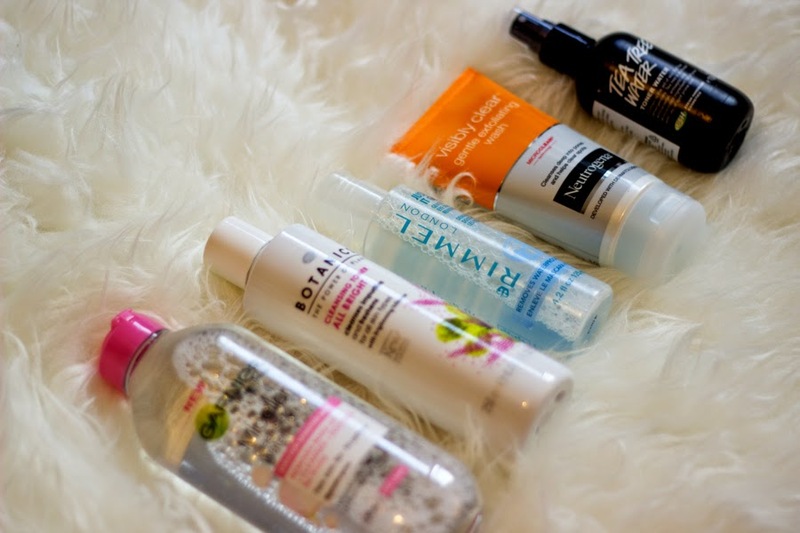 I wrote about the Garnier Eye Makeup Remover (review here) which I loved but the Rimmel Eye Makeup remover completely knocks the socks out of it as it is so much better. It feels so gentle and all you need to do is soak your cotton pad, gently hold against each eye for a few seconds and swipe downwards and trust me, everything comes off. I am totally impressed and I never expected this from Rimmel who I associate more with actual makeup. No single greasy feeling at all and no need to tug and pull and most importantly, no Panda eyes. It is definitely worth a try and at £3.59, it’s a total bargain. 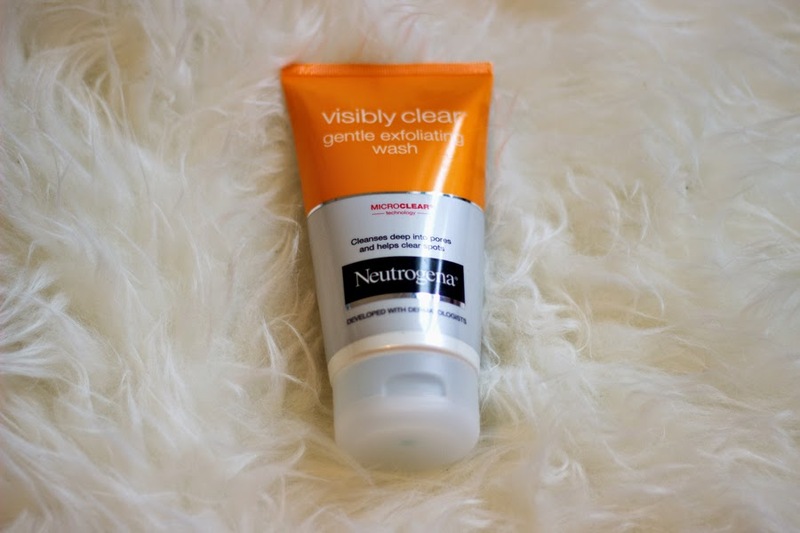 This is an oldish newish discovery for me in the sense that I have used Neutrogena Face washes and scrubs at various points in the past but I recently rediscovered it and decided to give it a try. 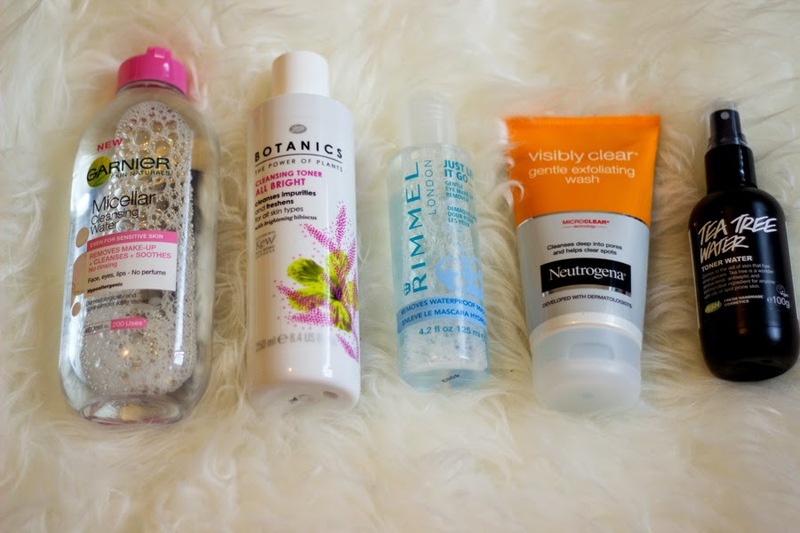 I have to say, I really like this exfoliating wash which feels so refreshing and gentle on the skin. It has some tiny microbeads which are almost undetectable but you can feel it ever so slightly on your skin but it is not abrasive at all. I have been using this in the evenings as a cleanser and it has been lovely. My skin feels smoother and less bumpy and I have no breakouts as this contains salicylic acid amongst other ingredients aimed at keeping the skin fresh. It is suitable for everyday use which is why I love it. This is another toner I always have in my stash as Tea Tree is effective in controlling acne and other dodgy breakouts. I already have a review of this here. I love Lush as many bloggers do and I particularly love their facial range as they are wholesome and have simple ingredients. 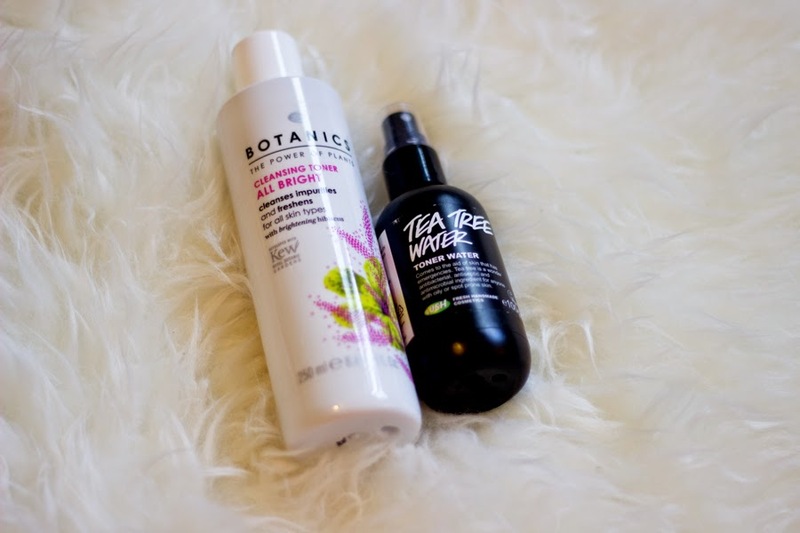 The Tea Tree Toner comes in two sizes but I prefer the smaller size as it is suitable for travelling and just handling in general. You can either spritz this directly on your face or spritz some product directly onto a cotton pad and swipe across your face. It sometimes leaves a slight tingly feeling which is common with Tea Tree but it leaves my skin really fresh and it is a perfect toner for acne prone/combination oily skin as it helps control breakouts and oil shone. This is another favourite of mine and I only started using it religiously after I ran out of my Holy Grail Pixi Glow Tonic (review here). Just like Pixi Glow Tonic, the Botanics version is a gentle chemical exfoliant which helps slough off dead skin cells to allow fresh skin come to the surface. It contains Hibiscus Flower Extract which is a natural skin brightener and I totally love it. I can’t really say I have noticed any “out of the world” brightening effect but my skin feels a whole lot more healthier and fresher. 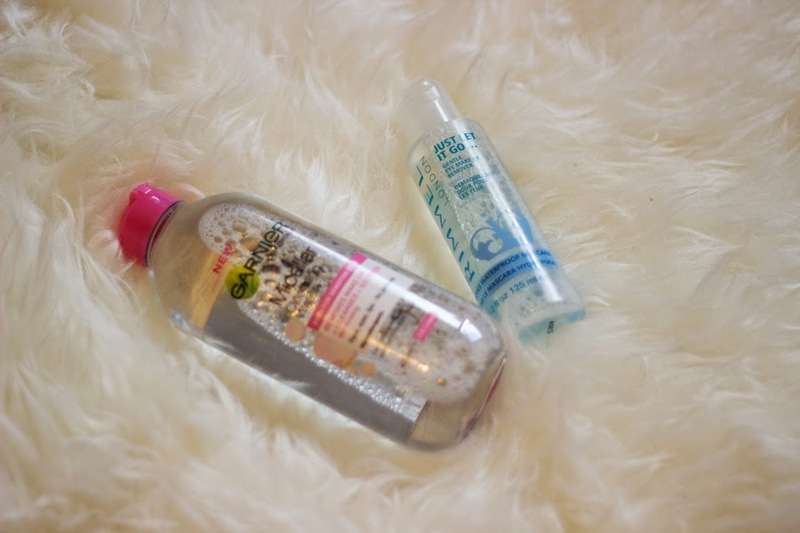 Many have compared it with the Clarins Gentle Exfoliating Toner and I can see why as it has an almost similar texture and colour but Clarins and Pixi Glow Tonic work better and faster in my opinion. Nevertheless, this is a very good alternative compared to other brands. I will report back once I have used it till the end to see how my skin feels. It's forever on offer in Boots so it's worth checking out.